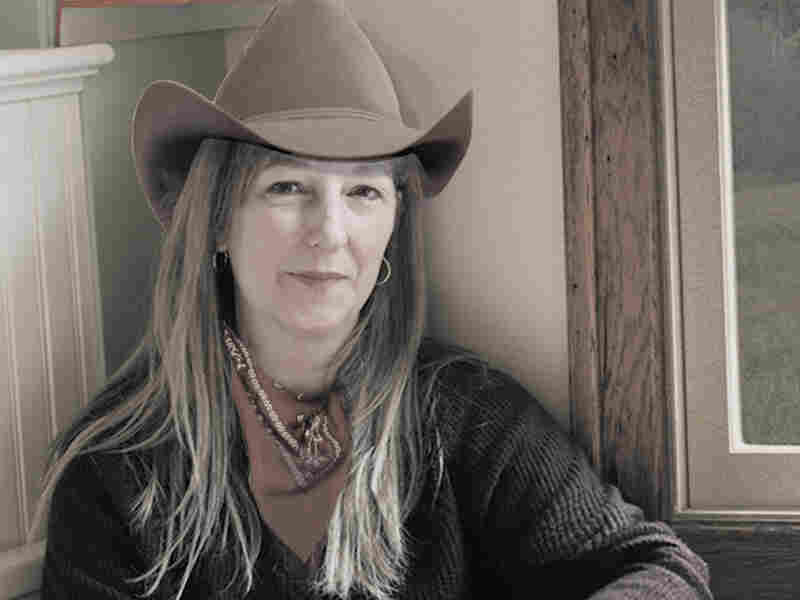 A Children's Author Wrangles A Cowboy Soundtrack Writer and illustrator Sandra Boynton recruited some of rock and country music's finest to create an eclectic collection of tunes for her new album and songbook, Frog Trouble. Sandra Boynton's new children's album and songbook is titled Frog Trouble. Children's book author Sandra Boynton knows her way around Music Row. We meet in singer-songwriter Ben Folds' studio, which is part of the old RCA Victor Nashville Sound Studios — birthplace of recordings by the likes of Dolly Parton and Joe Cocker. "First built by Chet Atkins and Roy Acuff in the early '60s, and as you can just tell from being here, it exudes history," Boynton says. "It's amazing the recordings that have been made here and the whole feel of the place is magical." Boynton's affinity for recorded music brought her to studios like this in Nashville, Tenn., to create an eclectic and somewhat retro collection of country tunes for her latest CD-songbook, Frog Trouble. She recruited some of rock and country music's finest to record the songs, which find her signature animal characters getting into some new trouble. Mark Lanegan sings the title track, which harkens back to the cowboy shows Boynton watched as a kid. "All of us knew the theme songs to them," she says. "I actually love that sound — that cowboy frontier sound — and that era of songwriting, the sort of lure of the West." Boynton calls bass player and session leader Viktor Krauss the spiritual and musical guide on the project. "I love the tune 'Frog Trouble,'" Krauss says. "It paints such a picture." His sister, bluegrass icon Alison Krauss, sings a ballad on the album. Viktor Krauss says working on kids' music allows for more freedom in the studio. Anything goes, as long as it's not too goofy. "You're appealing to kids and you're also appealing to adults that will have to listen, because the kids want to hear it," he says. "It's very cerebral stuff." Frog Trouble has fun layers of detail, like incorporating the four-note "My Dog Has Fleas" tune that's used to tune ukuleles at the start of Dwight Yoakum's song, "I've Got a Dog." Other collaborators on Frog Trouble include the band Fountains of Wayne, Darius Rucker, Brad Paisley and Ryan Adams. "I had fun getting into this country world," Boynton says. "I now have boots; I've got a hat." Even Boynton's drawings get a country makeover in the illustrated songbook that accompanies the CD. On the cover are three befuddled frogs, one of them decked in a ten-gallon cowboy hat. "Someone asked me once, 'Why are your characters always look so perplexed but good-natured?'" Boynton says. "I guess maybe it's self-portrait in a way. I'm a little perplexed, but, I think, pretty good-natured." Good-natured enough to share a bit of her writing process. When Boynton finishes a song, she makes a quick phone call to her partner Michael Ford. His answering machine picks up, and she sings him the lyrics and tune of the new song. Boynton says she strives to make songs that have staying power. "I wanted to make music for kids that if you were listening to it from the next room you wouldn't know if it were for kids or adults," she says. "It's just music." Hence the book's subtitle: "For ages 1 to older than dirt."